Early American rugs often have images that are built up from many small pieces of fabric or ribbon. 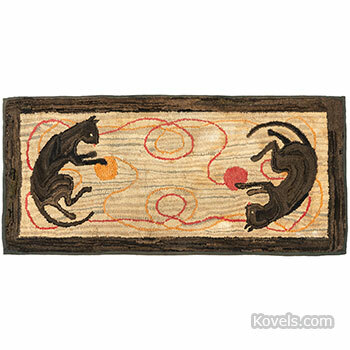 Upcycled materials were common, as were rural themes like the playful kittens depicted on this c.1900 rug. Roll out for more photos and prices from a recent sale.